I built some cadence controlled LED bike lights this week to put on my bike for this weekend’s Dunwich Dynamo – an annual overnight cycle ride from London to the coast. 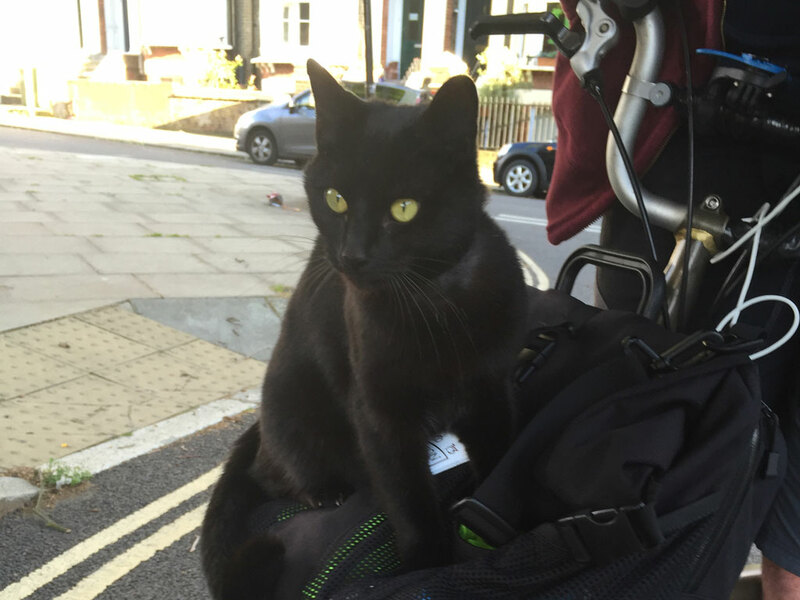 I organised a bike tour to visit a number of London’s notable cats. Eleven Brompton riders came, and we snaked our way all over London, fighting Saturday crowds and traffic.